Sunday, Dec. 4, 2 p.m. to 3 p.m.
An event for everyone, with songs to support and build on our community spirit. Bring the kids, bring the grandparents, bring your friends and neighbors for an hour of easy-to-sing popular songs led by Bret Hesla and Mary Preus, of Minnesota Community Sings, www.mnsings.com. 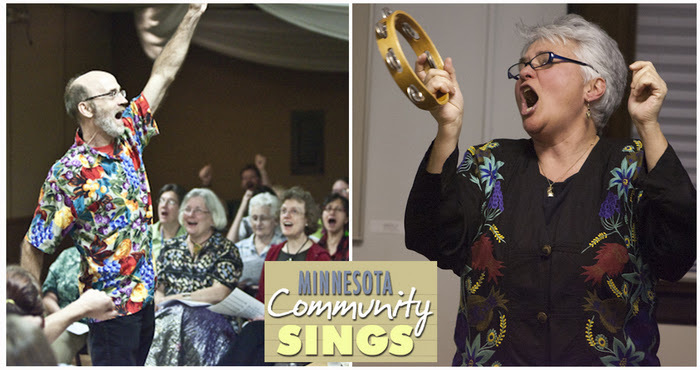 This free event is sponsored by musicians Bret Hesla & Mary Preus of Minnesota Community Sings, Faith Mennonite Church, Community of Saint Martin, the Seward Co-op and the Artists at Faith.